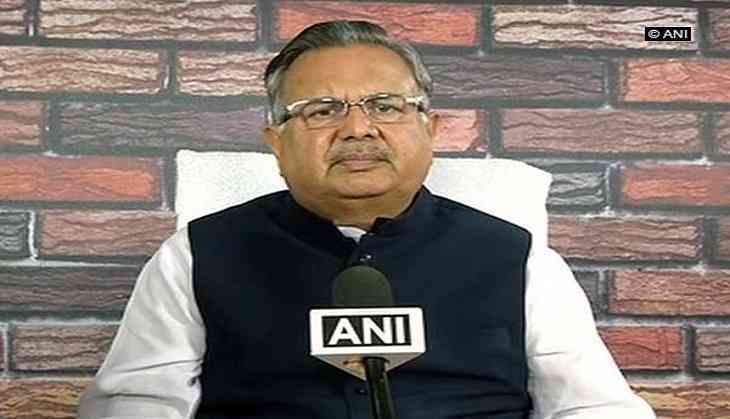 Chhattisgarh Chief Minister Raman Singh on Tuesday assured to take a strict action against state minister Brijmohan Agrawal, whose wife has been accused of acquiring the state's forest land for constructing a resort, adding that the matter has been taken to the collector and detailed report will be asked for. Speaking to ANI, Singh said, "I got to know about this information only today and will get into the details of this matter soon. I have also asked the state secretary and collector to look into this matter and provide me with a detailed report. Very soon, I will have all the facts and figures related to this matter." Sarita Agrawal, wife of Brijmohan Agrawal, is said to have acquired 4.12 hector of Chhattisgarh forest land raising questions of propriety and conflict of interest. Earlier in the day, Chhattisgarh Minister Agrawal stated that he and his family have always abided by the law.